Editor’s Note:Each month we ask communicators to unload their toolkits and tell us what falls out. In other words, What do you use to do your job? 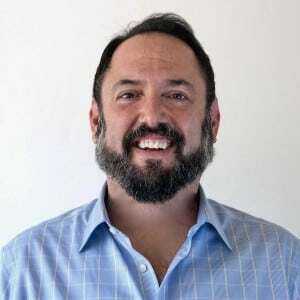 There are few better to talk about Facebook marketing than Ryder Meehan, principal & strategist, Meehan Digital, and a former social marketer at Fossil and Samsung, among others, and James Nickerson, lead instructor, digital marketing at General Assembly. 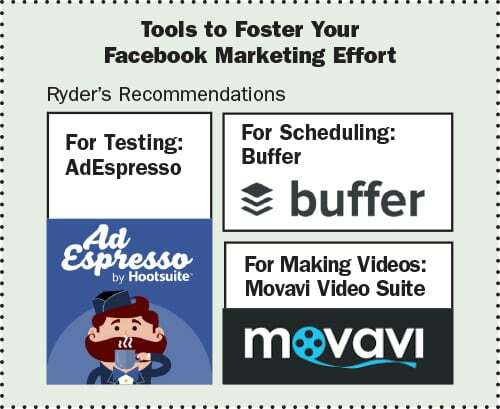 Their edited responses to our question about tools they recommend to enhance Facebook marketing are below. Ryder Meehan: There is no denying running a Facebook marketing program to its maximum potential takes a load of time and work. Each new fan, engagement, click and conversion is hard won. Consistently creating compelling content and finding new audiences is far from an easy task. But with the use of a few powerful tools, you can focus on tactics and strategy while automating more of the execution work. Building a robust Facebook Ad account loaded with a plethora of ad creative and the ability to test audiences are ideal elements leading to optimal performance. For example, say you want to test an audience based on job titles and another based on interests, or a variety of headline and image combinations. Then you want to determine the best permutation of audience and ad. That’s all good and well but managing and reporting on the test results soon becomes unwieldy, especially when you’ve also got a budget and cost-per-acquisition goal to balance. That’s why putting AdEspresso into the mix is a game-changer. The tool helps to automate many of the testing, permutation and optimization challenges of the modern Facebook marketer. It’s easy to setup and use as well. AdEspresso plugs into your Facebook account, then you load as many ad elements (headline, body, link, image, video or carousel) and audiences as you like. The tool will test every permutation of your inputs and optimize to the best ad combo for the target audience – automatically! Then it displays summarized analytics to see which audience demographic is most responsive. There’s a free trial and with a base account of $49/month it’s easy to justify the cost given your time and efficiency gains. Another tool I implore with vigor is Buffer. It allows the content manager to schedule posts weeks or months out, then get client or manager review and approval before they are added to the posting queue. There is also a simple yet powerful analytics component to easily see which posts perform best. The integration of Twitter, LinkedIn and Facebook in the single Buffer interface adds increased efficiency. Then there is the content feed feature, which suggests posts to quickly share from your followed pages. It’s well worth the price of $99/month if you manage multiple accounts and social media platforms. Finally, the importance of great creative in your Facebook ads is a major factor in how your program will perform. In my testing, nothing works as well as video ads. Creating effective video assets historically has been expensive, time intensive and challenging. I also see whiteboard explainers as an often-used, cheap solution, but ultimately they have an impersonal, non-branded feel, in my opinion. That’s why I really like the Movavi Video Suite. This affordable desktop software allows anyone to turn images or video clips into sleek ad spots with built-in transitions, text overlays, background music and other elements that give the finished product a very polished look. The videos you create within a few hours of work can be used far beyond Facebook as well – on your website, across social platforms and any where you need to demonstrate your brand and product easily. James Nickerson: At its heart, social media always has been about content: building it, sharing it, reacting to it. There was an art to finding or building great content that would surprise and delight followers. But, as social media tools have transformed into advertising platforms, the creative side of content curation has withered, taking much fun out of managing social media campaigns. 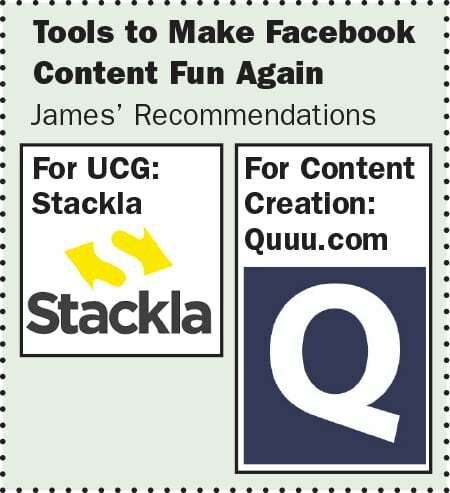 Here, however, are tools to return joy to content creation and curation. You know the person at the party who constantly talks about him/herself, what they do, who they know, etc., without taking a breath or asking anything about you? That is the equivalent of a company that uses solely branded content in its social feeds. We react the same way to them as we do to those people at the party. We tune them out quickly and try to avoid them. Studies show unbranded content performs 3-5x better on social than branded content. There is no better person to tell your brand’s story than the people who use it everyday. This is why I love Stackla, a user generated content (UCG) platform that allows you to discover, curate and showcase authentic user and advocate content seamlessly throughout your marketing channels. It also handles UGC rights management, something that will keep legal happy and your advocates delighted. Stackla also supports the nonprofit and NGO communities through Stackla For Good. I’ve seen how Stackla uses its technology and resources to help organizations around the world connect with people in authentic, engaging ways that cultivate communities and promote personal action and civil society. I admit it. I used to (and still) take too much time creating just the right post or tweet. It must have the brand voice, the right hashtags, etc.! No algorithm or auto scheduler possibly could create the epic “artisanal social content” I do, as I hover over my keyboard in the dark of night. Well, I got over myself and found Quuu.com, which sends you human (! ), hand-picked content based on your interests. There are more than 300 categories to choose from, and you can also decide how many suggestions you’d like to receive. Quuu also integrates cleanly with Buffer and HubSpot, so it’s like more than just one tool. Fellow content creators and curators… don’t give up the ship! I know we have less and less time to search our favorite media for the perfect piece of content for our social feeds, but our robot overlords have not won yet! Nothing beats human eyes and minds finding great things for audiences to read, share and react to. I strive to keep that skill set sharp by looking for great content daily, if only for 5-10 minutes.